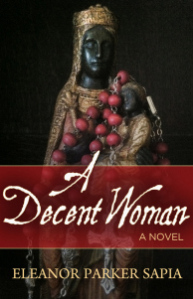 We’re thrilled to have here today Ana Opaku Belén from Eleanor Parker Sapia’s historical novel, A DECENT WOMAN. Ana is a forty-year-old, Afro-Cuban midwife currently living in 1900 Barrio Playa de Ponce, Puerto Rico. It is a pleasure to have Señorita Belén with us today at Beyond the Books! Thank you so for this interview, Ana. Now that the book has been written, do you feel you were fairly portrayed, or would you like to set anything straight with your readers? Ponce, Puerto Rico, at the turn of the century: Ana BelÈn Opaku, an Afro-Cuban born into slavery, is a proud midwife with a tempestuous past. After testifying at an infanticide trial, Ana is forced to reveal a dark secret from her past, but continues to hide an even more sinister one. Pitted against the parish priest, Padre VicÈnte, and young DoctÛr HÈctor Rivera, Ana must battle to preserve her twenty-five year career as the only midwife in La Playa. What Would the World Look Like If We Did Nothing? This month we celebrate Women’s History Month, and today we celebrate International Women’s Day. It’s an important day to highlight and celebrate, but it’s also a day to remember the hundreds of thousands of our sisters around the world who have been silenced with ridicule, by verbal and physical abuse, and downright censorship on this day. It’s just another day for them—a day of hiding, suffering, and of waning hope. This morning, I shared tweets and posts on Facebook, celebrating International Women’s Day (IWD), and as the morning went on, I read articles on IWD written by women from around the world, I felt a profound sense of sadness. While I recognize the importance of highlighting the demand for equality, and I support it 100% as a woman, a daughter, sister, and as a mother of a young adult woman, I am reminded of the missing and tortured women of Tijuana, the hundreds of girls still missing in Nigeria, the disruptions of women’s day celebrations in Peking, the stoning of women in the Middle East, and the list that goes tragically on and on. Let’s not forget them on this day. Closer to home, I am reminded of families we serve dinners to at our local shelters, and how I felt when I first discovered that dozens of the families and single women we served live in the woods on the outskirts of my town with young children. I remember the frightened faces of young women who’d entered the US illegally with young children and babies in their bellies, hoping for assistance, a kind, respectful word, and a nonjudgmental smile when they walked through the doors of the Department of Health. I think of the women I worked with as a refugee case worker in Belgium, the counseling clients we served in our Brussels counseling center for free, and the 27 women I worked with as a Family Support Worker of a non-profit organization in Northern Virginia. I am holding them close to my heart this morning, as well as the amazing women I worked with, who continue to serve as social workers, case managers, Family Support Workers, WIC staff, nurses, and staff members at different social service offices and organizations in Fairfax County, Virginia. I like to believe we had a common goal—to ease the lives of women and their children who were suffering. It is hard work, and I thank them all for their huge hearts and commitment. Before I left my job at Northern Virginia Family Services, I thanked my co-workers for their tireless work and wished them well. One co-worker replied, “We do our best, but it’s only a drop in a huge bucket of needs.” It’s true, yet imagine if we did nothing. I shudder to think of the state of our world if we stood back, watched, and did nothing to help our brothers and sisters. We must do better at home and abroad for women, for equality, and in educating young children that we are not islands–we are all brothers and sisters. And to the women of the past, our ancestors, the women who forged the path for me and for millions of women around the world, I say thank you. To the awesome women in my family, alive and now passed on, thank you for your teachings and lessons. To my daughter, who works with young adults who’ve experienced their first psychotic episode, thank you for doing such important work. I love you. To the men and women who have mentored me, advised and encouraged me on my path, my thanks to you. Posted on March 8, 2015 March 27, 2015 Categories UncategorizedTags #IWD, #IWD2015, #WD2015, equality, herstory, immigration, International Women's Day, refugees, social work, Women's Day, women's history, Women's History Month, women's issues, women's rights2 Comments on What Would the World Look Like If We Did Nothing? I couldn’t be happier to introduce you to my new friend, the midwife, educator, and writer, Sarahn Henderson. Two months before my historical novel, A Decent Woman went to layout, I was browsing the internet about caul births, and I stumbled upon Sarahn’s website. This was synchronicity at its best! 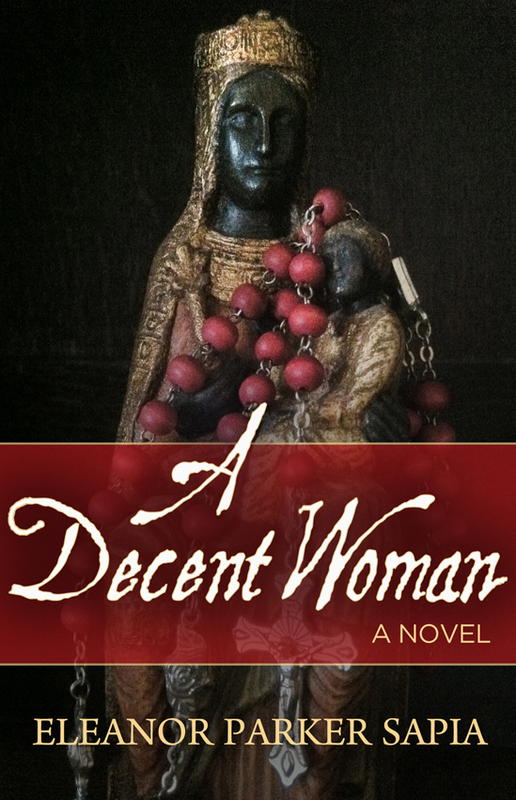 I immediately contacted Sarahn, who was gracious enough to read an advanced reader copy of A Decent Woman. 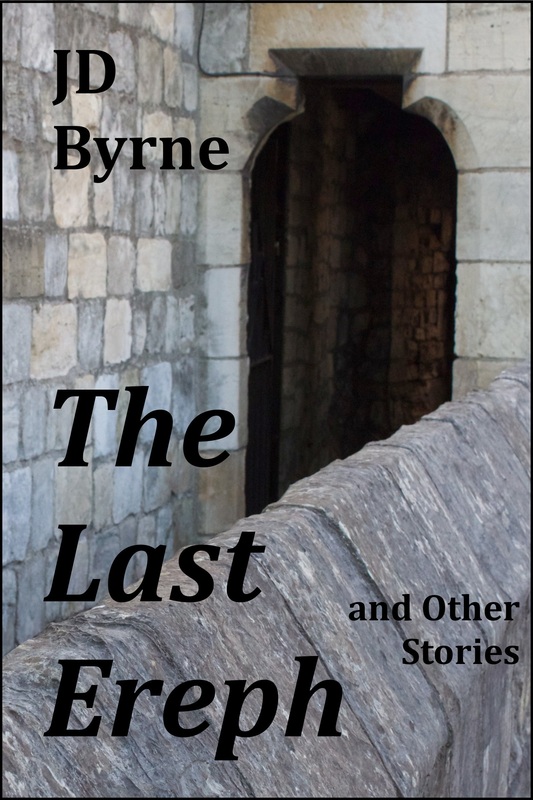 Sarahn gave my novel the first midwifery ‘seal of approval’. I will always be grateful to this beautiful, talented lady, and can’t wait to meet her in person. Sarahn Henderson is the principal midwife at Birth in the Tradition. She is the mother of five adult children who were born at home. Since 1980, and to her credit, Sarahn has assisted and midwifed hundreds of families into parenthood. Her role models were the Granny Midwives, respectfully called Grand Midwives today. Sarahn has also apprenticed over a dozen women who chose to study or practice midwifery. Her vision is that homebirth will become nationally recognized as a safe alternative to hospital births (for the low risk mother), and that midwifery will become a licensed profession in the US maternal healthcare system. 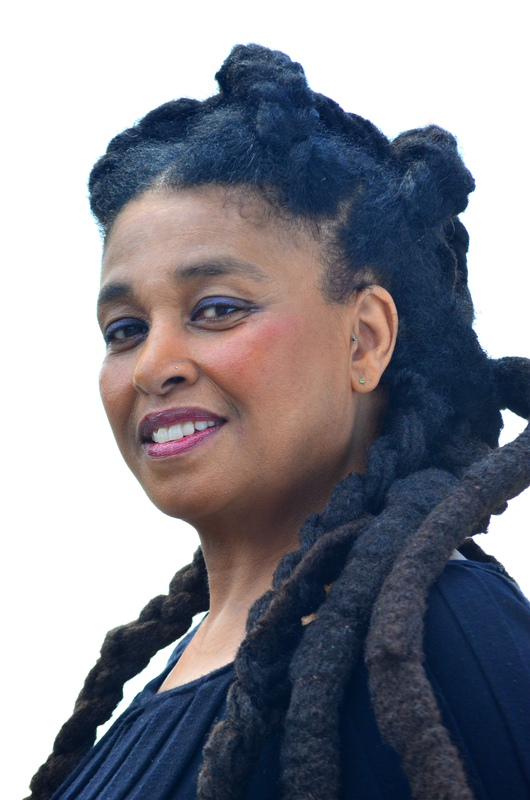 Sarahn is the author of Speak Sistah Speak, Preserving a Legacy and she is a performance artist. 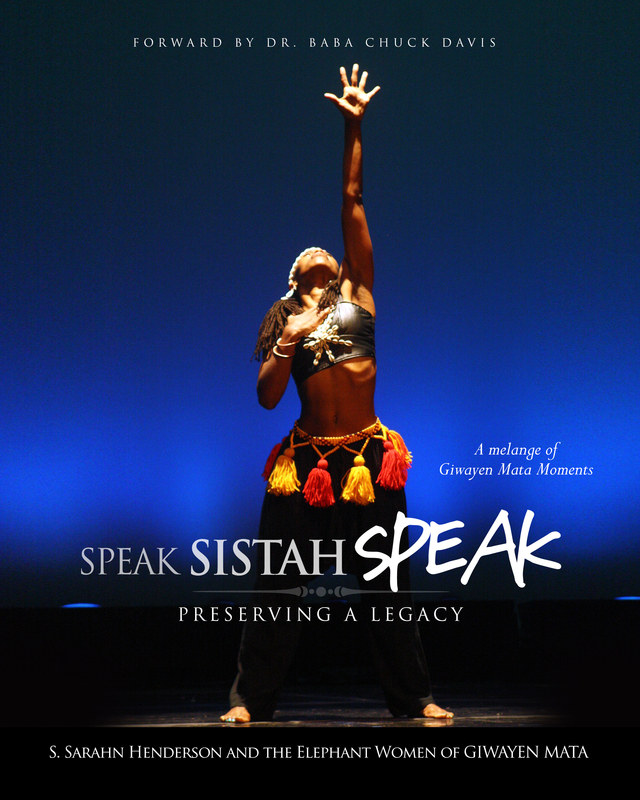 Speak Sistah Speak, Preserving a Legacy is an inspirational coffee table photo book of Giwayen Mata; an all female African dance, drum and vocal ensemble! Speak Sistah Speak, Preserving a Legacy is a mélange of eloquent quotes, golden nuggets and voices of inspiration by the women of Giwayen Mata and other “Elephant Women”. Additionally, it pictorially reflects the twenty years of Giwayen Mata’s growth and continuation. Speak Sistah Speak is a Giwayen Mata Performance piece. In addition to being the title of GIWAYEN MATA’S book, Speak Sistah Speak is also the name of one of the performance pieces in Giwayen Mata’s repertoire. In this piece, Giwayen Mata’s artistic director, Omelika Kuumba, has addressed the ridicules, laughter and scorned faces from those who disapproved of her and other women stepping out to speak with their hands as female drummers. The title was used here again because being at the forefront, defending this change in attitude about women drummers is our charge and appropriately sums up Giwayen Mata’s 20 years. The preserving a legacy part of the title speaks to Giwayen Mata’s purpose to preserve the stories, language and history of Africa and the African Diaspora through song, dance and rhythms. This compilation of stories and words of wisdom are intended to inspire and encourage those who need examples of perseverance to help them achieve their goals. This book is about determination and perseverance. Giwayen Mata continues to trail blaze a new frontier for women drummers. My favorite part of writing is the sharing of my imaginative thoughts in literal form. Writing is an artistic expression that allows me to create tapestries of words that entertain and inform. Writing is my gift, which I am continuously developing. Putting my thoughts “perfectly” into words is the most challenging aspect of writing for me. When I find myself rewriting what I’ve already written just to make it read better, the process extends longer than I’d like. Knowing that my words will touch someone in the process allows me to stick to the challenge. I don’t have one favorite author. I tend to be attracted to historical fiction literature. So authors who write a good story with interesting characters and events with historical context, can most times captivate me and hold my attention. I would have to say that Eleanor Parker Sapia and her novel A Decent Woman have been new sources of inspiration and influence for me. Besides being a performing artist, I am also an African American Midwife. I have been intending to publish my midwifery memoirs for years. Eleanor Parker’s book closely resembles my personal experiences in the US. After reading her story, I could tell that it is time for me to write my own. My clients, family and friends are continuously encouraging me to do so. Since I cannot say on the front porch of my cabin over looking the Smoky Mountains of Georgia or on the patio of my beach home listening to the waves of the Atlantic ocean, I have to confess that my favorite place to write is on my bed with my laptop on my lap desk! My room is my “She Cave” where I retreat to gather my thoughts. The lamp which hangs over my head provides me with the light I use to burn the midnight oil. I’m shy! People don’t believe it because I perform and am well known in my community. But get me in a crowd with people I don’t know, I am quite the opposite of the social butterfly. Writing and publishing is a process. Going the self publishing route requires doing your own editing, research and marketing. Speak Sistah Speak is my first published book. 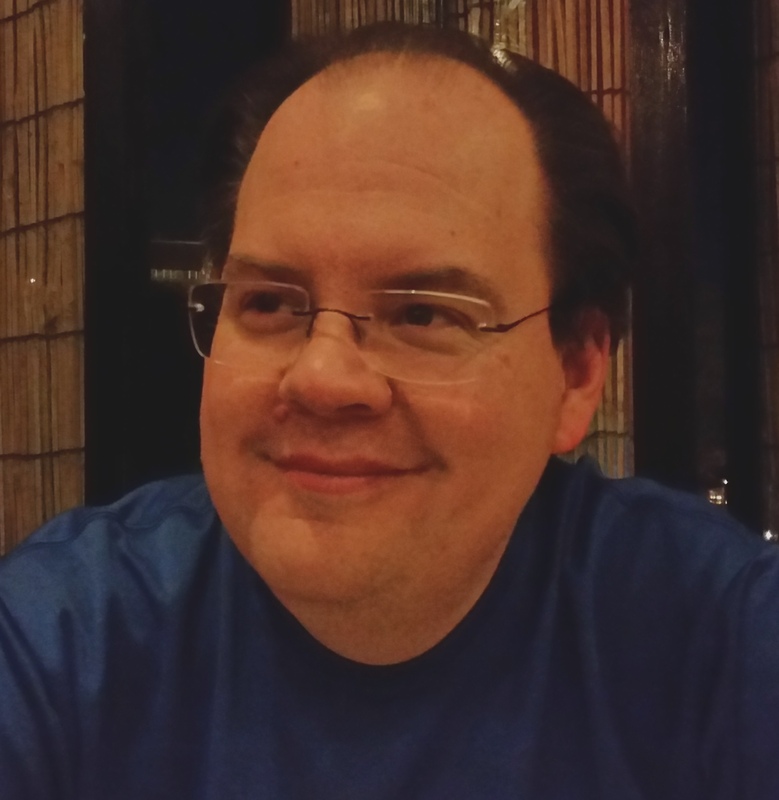 After researching different publishing options, I followed the advice from the first person who put me on the road of self publishing. As a novice, this process has felt safe and has allowed me to have control of what I know and of what I need to know for further works. Write! Be courageous. Don’t be afraid. Don’t procrastinate. If you have a story to tell, write it. Whether you are interested in self publishing or using a publishing company, there are plenty of resources on the web. The Memoirs of an African American Midwife by Sarahn Henderson! !